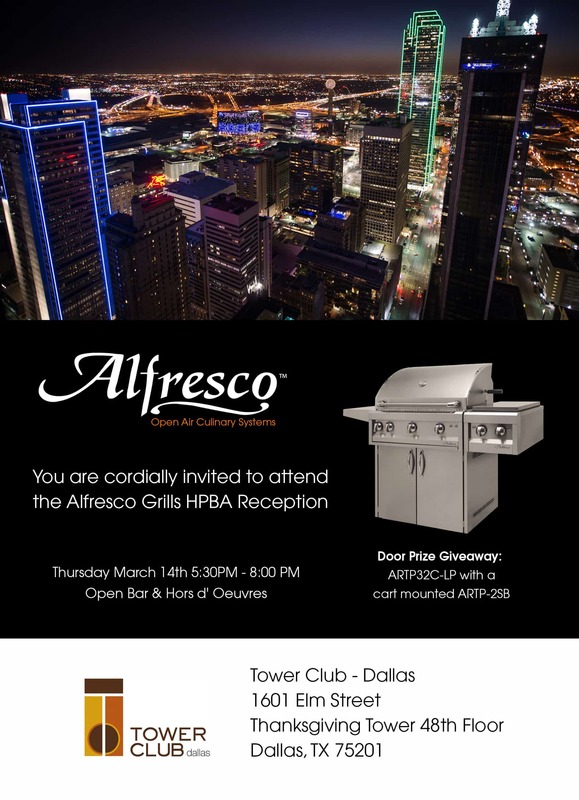 For decades, the founders of Alfresco have been designing and manufacturing commercial kitchen equipment for many of the world’s finest restaurants, hotels, and chain stores that rely on the highest quality products. In the late 90’s, Alfresco Open Air Culinary Systems was launched, offering a complete line of restaurant-inspired residential outdoor kitchen appliances with an entirely new level of quality and luxury never before available for the home; utilizing the same manufacturing methodologies used in commercial restaurant equipment. From the beginning, Alfresco has created a three-tiered commitment mission to ensure they would be producing something that had never occurred in the outdoor cooking industry. This dedication to quality in manufacturing, innovation, value and customer satisfaction would shape the Alfresco brand and set the standard for what the ultimate outdoor cooking experience should be. Alfresco’s state of the art factory located in the City of Industry, California is equipped with the most advanced and finest precision stainless steel fabrication equipment available in the world today. This technology combined with a seasoned team of veteran appliance craftsmen result in truly exceptional outdoor kitchen products. Products built for unparalleled performance. Alfresco’s commitment to innovation has resulted in an incomparable product line for culinary enthusiasts. In fact, no other outdoor kitchen appliance manufacturer has achieved this level of integration, precision and versatility. As a product innovation leader, Alfresco is dedicated to assisting its customers with creative design solutions. Our complementary service offers all of the exciting layout and integration options available from Alfresco. Our professional design team assists customers in creating their dream outdoor kitchen. Alfresco’s two-year freedom warranty is unmatched in the industry and is a testament to the longevity of your outdoor kitchen experience. Inspire yourself. Nurture your culinary genius. Alfresco appliances will make any professional chef feel right at home as well as motivate anyone who wishes to produce masterful creations like a pro. If you can imagine it, you can create it with Alfresco. Even before anyone coined the term “outdoor kitchen,” the Alfresco founders envisioned a restaurant-inspired appliance and accessory collection. That vision was Alfresco’s Open Air Culinary Systems. Launched in 1999, this luxury residential line lives up to the promise of its roots. Prominent commercial client restaurants include chefs Jean George, Emeril Lagasse, Wolfgang Puck, Mario Batali and popular nationwide eateries such as California Pizza Kitchen, TGI Fridays, Applebee’s, Houston’s, and the Cheesecake Factory. Alfresco principles Jeff Bernstein (CEO), Jeff Elliott (COO), and Edwin Hovsepian (CFO) have worked alongside one another in the food services industry since the 1980’s. It was Elliott who, in fact, built the first Viking range prototype under the team\’s earlier banner, Jade Range, a maverick in exhibition cooking. Alfresco Open Air Culinary Systems is based in Southern California. All products are made and manufactured in the USA with the finest grade materials. Superior Equipment Solutions, the parent company, also manufactures the Artisan residential brand as well as several well- established commercial brands.